Crisp and clean logo design, packaging design, web design, and advertising for Rolling Meadow Dairy’s line of yogourts, milks, butters, and eggs. Changing consumer thought around a generations-old product is not an easy feat and one that calls for vast education. Our task was to build a brand while distilling down volumes of “reason to buy” information into a concise narrative. With on-pack limits to what and how much we could say, a seperate micro-site (whygrassfed.ca) was created as a portal for the full GreenSpace Brands line of grass-fed products. 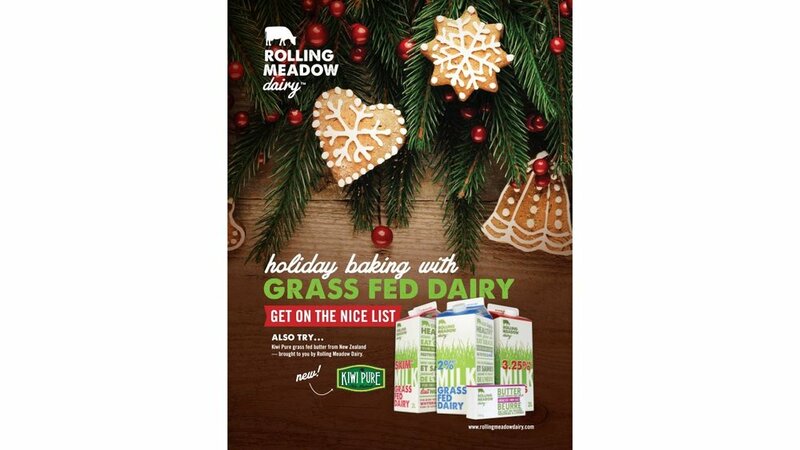 Rolling Meadow’s rich social media network is a testament to both the trade and consumer reception of the brand and its values. As the brand continues to expand it will continue to create a disturbance in the marketplace.